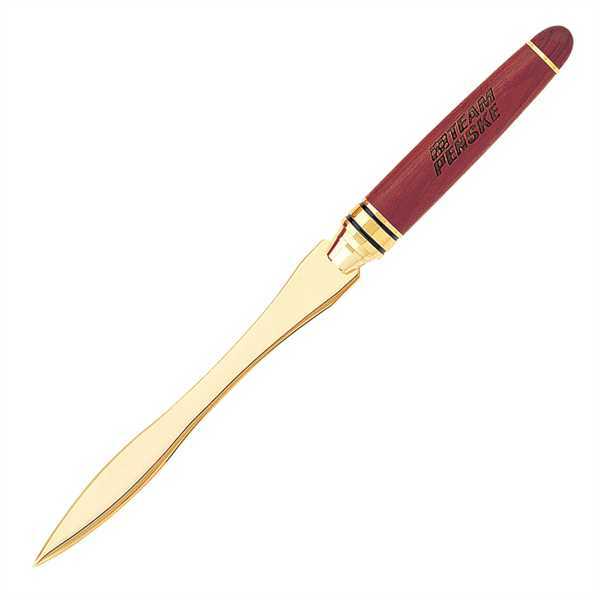 Add this Terrific Timber-1 letter opener to your inventory and attract more clients! It's got a handle made of wood and comes in a beautiful brown color that would fit in with the decor of almost any room. This is fantastic for executives to add to their office spaces or for a study at home. It's also a practical and easy way of opening the mail. Our imprint ink and barrel coatings are lead free. Add your logo and make this available to customers to get their approval and repeated business! Price Includes:one position laser engraving. Price Includes: for extra position.